Today most of us search for ways to live that respect and do not harm our environment. In the modern world of transport, commerce, and consumption, it can be hard to find simple positive environmental actions that offset our carbon footprint. My family (finally, after talking about it for 4 years) started a compost pile in our yard. I started reducing our use of plastics; I specifically stopped taking my coffee in takeaway cups and started using biodegradable plastic bags at home. 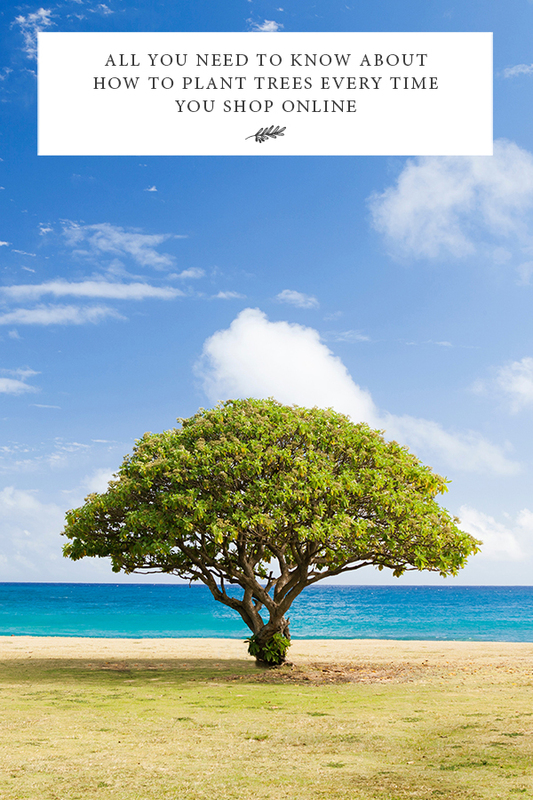 With Live Green, every time I shop on Amazon and Live Green, I support the planting of trees in Senegal, Cameroon, Kenya, Tanzania, and Uganda. First, I joined Live Green, a new online wholesale organic market that is eco-conscious. Live Green is a partner with Trees For the Future. I now connect to Amazon through the Live Green website and place an order with Amazon during that session, so that Live Green will plant 10 trees for my Amazon order. Trees For the Future is a charity, started in 1989, with a large field-based team that oversees projects to make sure trees are planted and make a difference. Trees.org created a tailored program called “The Forest Garden Program”: a simple, replicable and scalable approach with proven success. The program partners with male and female farmers in Senegal, Cameroon, Kenya, Tanzania, and Uganda. The beneficiary group (approximately 300 farming families per group) are all living below the poverty line, struggling to feed their families on increasingly degraded land. The program systematically plants, over a four-year period, specific types of fast-growing trees, fruit trees, hardwoods and food crops. “Forest Gardens” consist of thousands of trees that provide families with sustainable food sources, livestock feed, products to sell, fuel wood and a 400% increase in their annual income in four years. The initial goals of the program are to work with 125,000 impoverished farming families in Africa and plant 500,000 trees. Here is how I support tree.org when I buy products online via Amazon. To start out, try a free 14-day trail of Live Green here (if you are not already a member). Go to the Live Green site and log in. Step 4: When you log into your Amazon account through the Live Green website, shop and place your orders. Live Green will automatically provide the corresponding funds to trees.org on a quarterly basis. Here is our potential impact: 12 orders per year from Amazon through Live Green (12 orders X 10 trees) will help plant 120 trees in Africa! 60 orders = 600 trees! 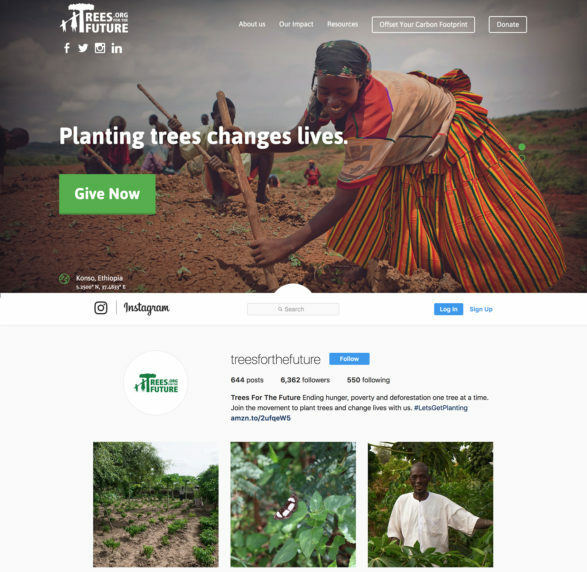 If you want to validate trees.org as charity, go to Charitynavigator.com and type in “Trees for the Future” in the charity search box to see a report on the charity. Shopping online via Amazon is a habit that has and will continue to change the way we live. I am pleased that while I shop via Amazon, I can support planting trees to help families and the environment.